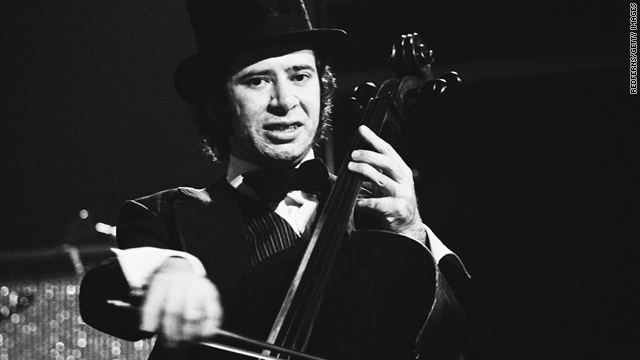 Michael Edwards, pictured in concert in 1974, played cello for the Electric Light Orchestra, a popular rock group of the 1970s. (CNN) -- A former cellist with the rock group Electric Light Orchestra was killed Monday in a car crash involving a large bale of hay in southwestern England, local police said. Michael Edwards, 62, was killed after a 600-kilogram hay bale (about 1,323 pounds) rolled out of a field and into the path of his van. Another vehicle also was involved in the crash, but no other injuries were reported, according to Devon and Cornwall police. The crash closed the road near Halwell in the country's southwestern region. ELO was formed in Birmingham, England, and enjoyed success in the 1970s with its blend of modern rock, pop and classical music.